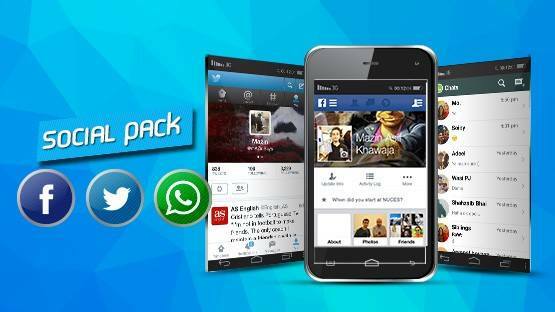 Once again Telenor introduces a phenomenal 3G package for its subscribers with the name of Telenor 3G Social Pack. This is such an amazing and unique offer for customers and they can avail various kinds of social activities by using 3G internet service. There are lot of people who just use internet facility to check social networks websites like Facebook and Twitter. Now days it’s really tough to all teen ages group spend single day without using social media websites because they really love to connect with his friends by using Facebook and Twitter. This is really compulsory things for the customers especially new generations of Pakistan. 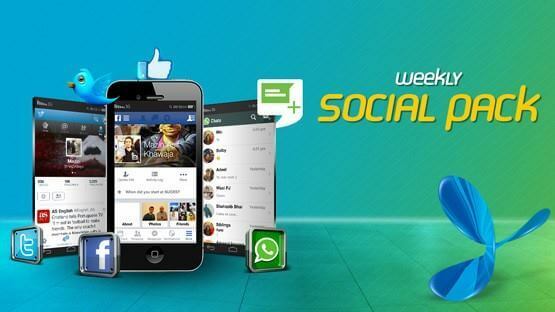 Telenor social package is providing Facebook and Twitter facility to avail with cheap rates now customers can easily subscribe that offer to use different kinds of websites to connect with his friends and search interesting things in internet. Telenor social pack also provides facility of Whats APP for users; yes this is really unique and special now you can enjoy Whats APP mobile application feature to connect with your contacts by using this offer. As we all know they have provided quality of Telenor 2G packages for its customers in previous tenure and now technology has updated in this modern area and they are producing quality of 3G deals for users to enjoy fastest internet facility. They have categorized 3rd generation social pack with two different options for consumers. This telecommunication provides daily basis social package for its customers. Subscriptions procedure is really an easy and all the users can easily subscribe that offer to use websites and mobile application. This is daily subscription feature of this network service and all the 2G and 3G customers can utilize that facility after subscriptions. The tariffs details and other information are mentioned as below. Subscribers can get that deal very simple way just need to dial *5*325# and press call button. The charges to get that deal are RS 3.00. Subscribers receive 100 MBs internet data to use Facebook, Twitter and WhatsAPP for a day. This telecom also introduces that feature for avail on weekly basis and this is really preferable to all the users who are really tired to subscribe a package on daily basis so these kinds of people can easily subscribe that feature to enjoy social activities on internet for next seven days. Now we provide you details of that service. The charges to get that for a week are just RS 1. Customers get 300 MBs facility to avail Facebook, Twitter and WhatsAPP. This is weekly subscription offer. Consumers can check remaining bundles by dialing *999# and get complete information of deal. This telecommunication reserves right to de-activate this offer at anytime without being informed. This service is available for all 2G and 3G customers. The prices can be changed of that feature at anytime.